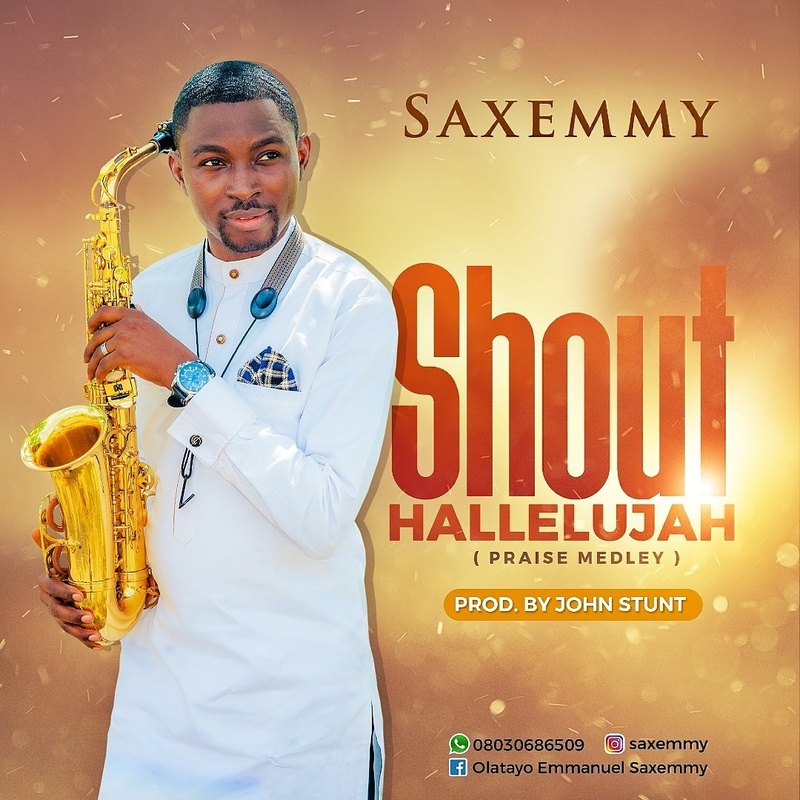 What a way to start the new year as SaxEmmy releases his highly anticipated high praise medley Single titled “Shout Hallelujah” in 2018. Olatayo Emmanuel (SaxEmmy) a child of God & a minister of the Gospel of Christ(sax-mistrel) who puts in so much dexterity and skills into his songs. SaxEmmy is the Living Faith Church Headquaters Head Horns Men, and he has performed on stage alongside Tope Alabi, Shola Allyson, Jerry Omole, Pst Kunle Ajayi etc..
You can also get SaxEmmy previous Single which was released December 2017, Titled “Gbo Ohun” which is still trending in top Gospel music blogs.